When it comes to science, the human mind would inevitably shift towards thinking about chemicals in test tubes, DNA or even the exciting world of quantum physics. However, Leonardo Da Vinci, Nicola Tesla, Omar Khayyam and many others have shown us that science also has a place in art, from paintings to designs and poetry. Similarly, McMaster University witnessed another combination of art and science during Dance Brain, which took place last week at the university’s Large Interactive Visual Environment Lab, better known as the LIVELab housed in the psychology complex. 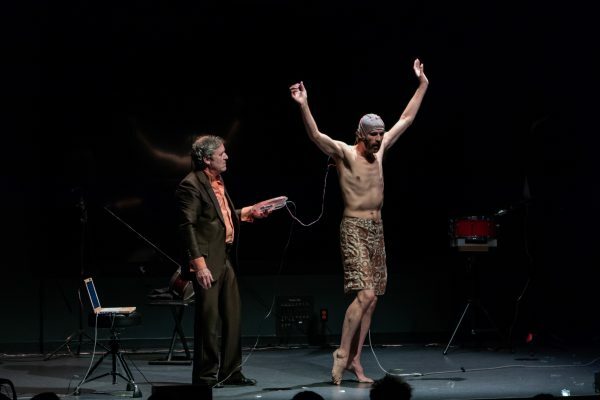 Dance Brain is a performance where the dancer’s electrical brain activity is measured through an electroencephalogram cap and brain waves are converted into music in real time. The brain-wave music is then danced to on stage, ultimately allowing the performer to dance to their own biological rhythm. 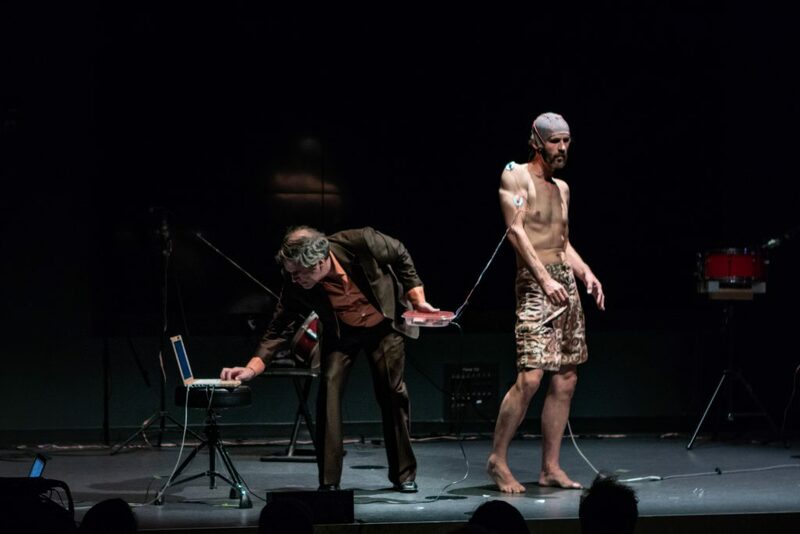 This project, which embraces performance practice and neuroscience, is being held by the initiative of McMaster University neuroscientists, Steven Brown and Dan Bosnyak from the department of psychology, neuroscience and behaviour, composer and sound artist, Gordon Monahan and contemporary dancer, Bill Coleman. Bosnyak is also the technical director at the LIVELab. Brain-wave music was developed three years ago, but Brown justifies the uniqueness of Dance Brain as the first project to incorporate a dance performance based on the music. “People have done the sonification of brain waves as musical work but never as a dance work…We wanted for the first time to bring this to the domain of dance,” explained Brown. The project uses varied methods to enhance the frequencies that are obtained from the human brain which are often too quiet to hear and are at frequencies between five to 20 hertz. Composing the music involves using different methods to increase the frequencies to a hearing range. Once the audience can hear the brain-wave music, attendees’ eyes are set on Coleman. He believes that his background in art plays an important role in the scientific aspect of Dance Brain. “Dance or art is a way of exploring the world and understanding it and as is science…so they are both ways of defining who we are and where we live,” explained Coleman. According to Coleman, brain-wave music conveys what is happening in the body, especially through contemporary dance. It’s also fascinating to think about how the dancer is placed in a paradox of whether the brain-waves music dictates how Coleman is moving or whether he is the one controlling the music. From its beginning to the end, the performance amazed the audience. Coleman’s brain waves were accompanied by complementing lights and instruments such as piano. This makes Dance Brain one of the most challenging performances that has been held in McMaster’s LIVELab. For Brown, Dance Brain is proof that it is possible to convert electric brain activity into music in real time. 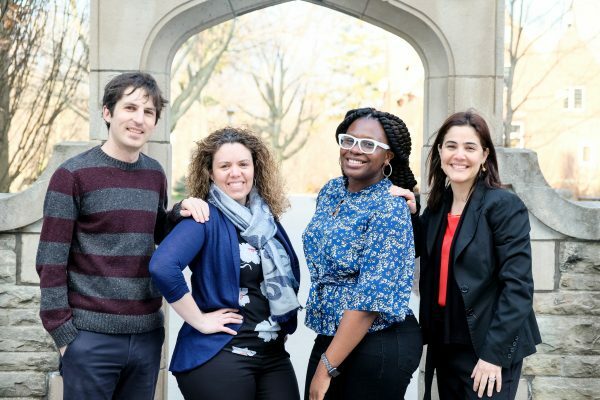 As on the most unique feats of arts and science here on campus, Dance Brain opens up the road for more opportunities to explore this principle in the future by involving other scientists, artists and performers in the show.